The Indian Premier League (IPL) season 4 will be started in short time and its live broadcaster, Sony SET Max had raised ad rates last weekend which is five times more than regular ad. Recently the price of onion and gold are on fire and now it's time for advertiser, yes they should also pay higher to Sony SET Max for advertising in IPL season 4 cricket matches. 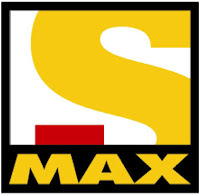 All IPL lovers are much waiting for the season 4; current news related to IPL says that Set Max has increased its rate of ad up to Rs 50,000 per ten seconds in comparison to its regular ad price Rs. 10,000 per ten seconds. At Bangalore, the IPL auction will be taken place on the 8th and 9th of January 2011 for bidding of the world’s best 350 cricket players for ten teams. The broadcasters believe news channels will get advantages of their increasing viewership as well. But, for 10 seconds advertise of IPL 4 matches, the ad slots are being sold at Rs. 5 lakhs that is almost Rs. 1.5 lakh more than 10 second slot price of the last year editions. The ad price is also forty per cent more than the price which applicable in World Cup. Even, T20 world cup ad cost is also lower, Rs 2 lakh per 10 seconds. This year IPL season 4, the broadcaster will get approximately 20 per cent more profits than last year. Total Rs. 900 crore profit is expected this year which was Rs. 750 crore last year. "Currently rates are already 30-40 per cent higher than world cup rates. We will further increase by another 30 per cent but we don’t have enough inventories left," Rohit Gupta said. According to experts of advertisement industry, it is all about eyeballs and advertisers have to pay for reach while a T20 reach is about 85 per cent and ODI reach is found to be 67 per cent. Now according to my opinion, the advertiser should have to bring quality in advertise video and also all the advertising companies try to make short meaningful ads to attract customer and get impression in viewers' eye.